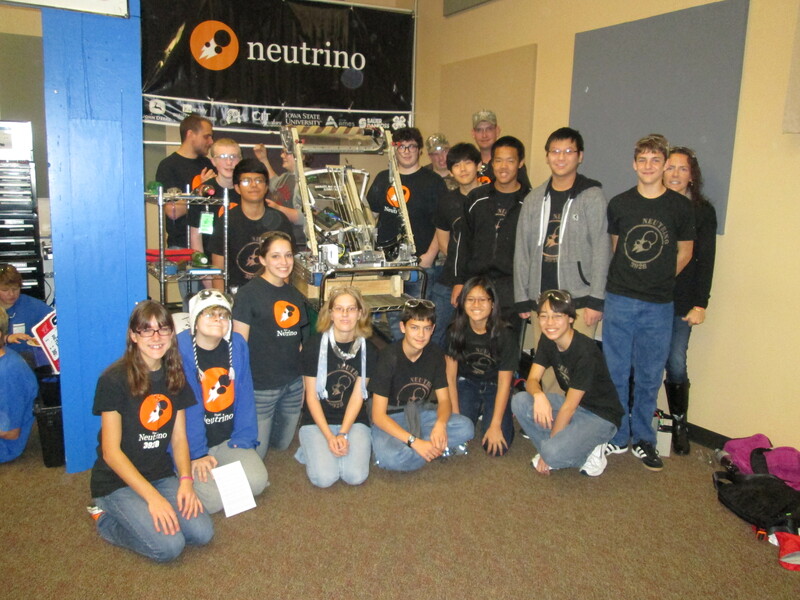 I am happy to say that Team Neutrino was successful at Cow Town this year! Our main goals were to let the new members of the team experience an FRC competition, as well as continue to be a competitive team. New members had the opportunity to drive, operate, and load the robot, as well as work in the pit and scout in the stands. Team Neutrino was ranked 20th out of 48 teams after the qualification rounds with a record of 4-4-0, and was chosen by team 1806 S.W.A.T. to be on the second seed alliance. Our alliance happily made it to the final rounds! This entry was posted in Competitions 2013 by Dagney. Bookmark the permalink.